Comments: This rose blooms light pink with a white center. 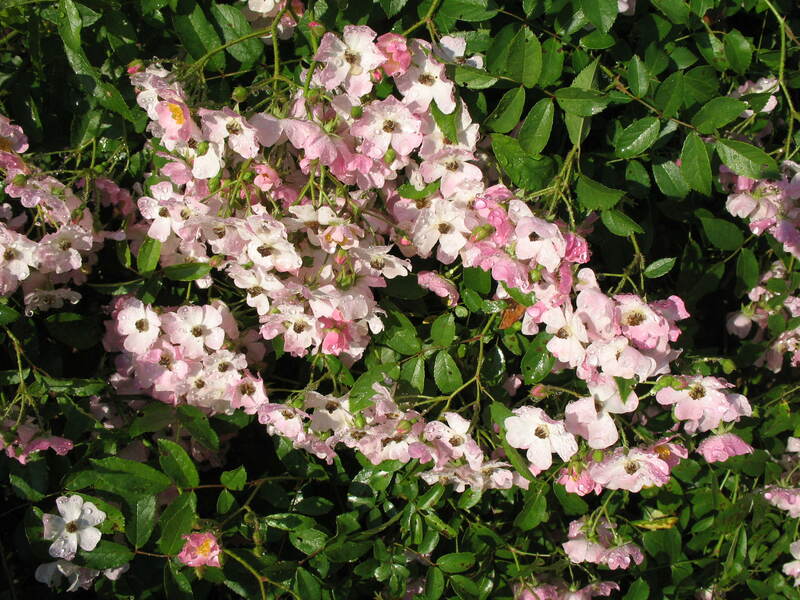 It is a hybrid shrub rose that produces clusters of many single flowers and has dense foliage. Many of the shrub roses do not have as many plant pests as some of the hybrid tea roses.